We love making keepsake ornaments with the kids during the holiday season. 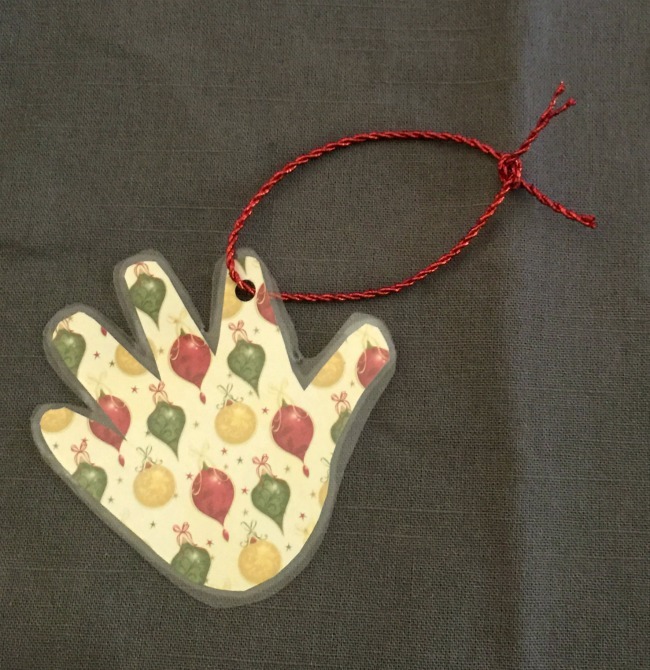 A couple years ago we made these adorable handprint Christmas ornaments with my kids and some of their cousins. It’s so neat having the representations of their little hands on my tree each year, especially as they get older! 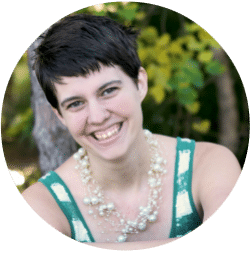 I’m participating in the 12 days of Christmas of Christmas blog hop being hosted by Traci and Co! When you’re done reading this post, hop on over to see the rest of the fun Christmas crafts and enter an awesome giveaway! To start out, trace each child’s hand on the white side of the scrapbook paper with a pencil. Use the gel pen to write their name and Christmas 2016. 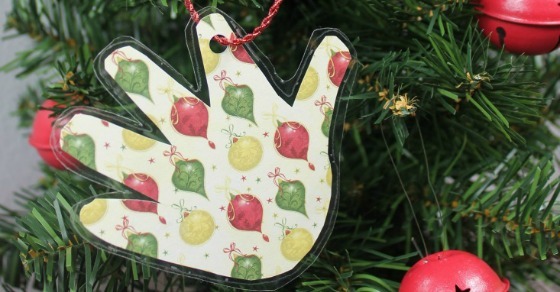 You can get multiple handprints on one paper or do each child’s hand with a different Christmas-y pattern! 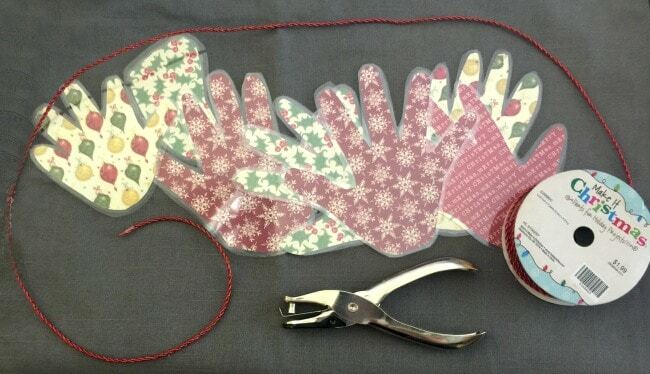 Laminate the handprints before you cut them out fully so that the laminate and the paper can be cut together. Follow the instructions on the laminate paper to protect the handprints. Cut them out, leaving a little bit of room around the edges. Punch a hole in each handprint and run some of your twine through it, tying a knot at the end to make a cute ornament hanger. If your child is too small to do a handprint, you can also do a baby’s footprint in the same way! If you have time, make several so you can give them as grandparent gift ideas for Christmas this year! With all of the different scrapbook paper options you can customize each handprint to the decorative preferences of each grandparent! 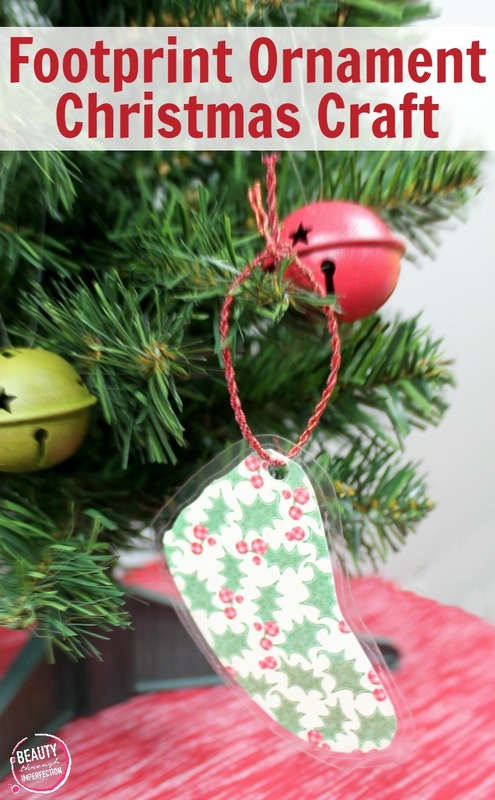 Do you have a favorite holiday keepsake craft idea? Share it with us in the comments! And don’t forget to stop by Traci and Co to see the full 12 days of Christmas crafts, today is only day number five. 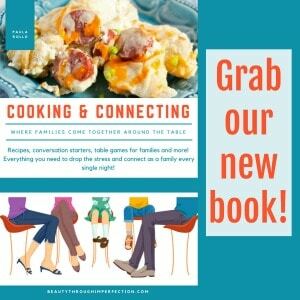 There is a HUGE giveaway that you don’t want to miss as well! I *love* this idea! 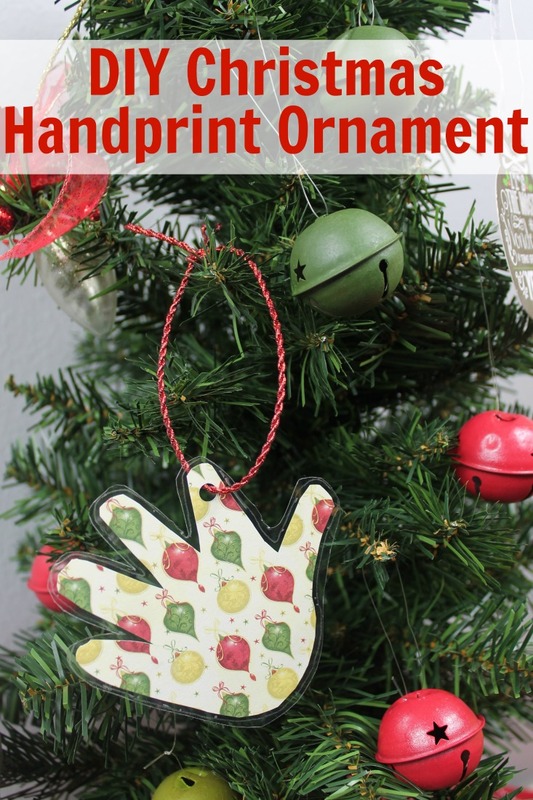 Those cute little hands have always been one of my favorite parts of my kids, and this is a great way to memorialize them and also have the kids involved in the Christmas decorating. I am lucky enough to have both sets of the kids’ grandparents live nearby and they are our “daycare” during the workweek. My mom is often looking for crafty ideas so I’ll pass this on to her. She’ll love it, too! 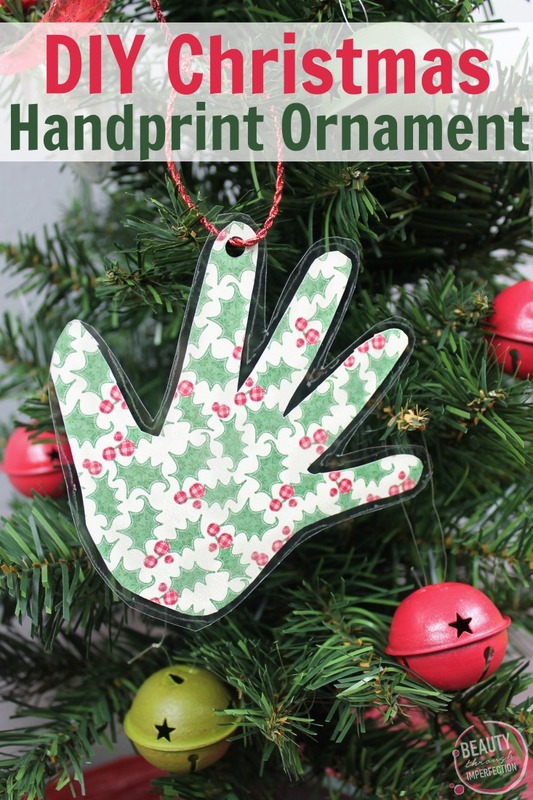 Hey Buddy!, I found this information for you: "DIY Handprint Keepsake Christmas Ornament". Here is the website link: https://www.beautythroughimperfection.com/handprint-keepsake-christmas-ornament/. Thank you.